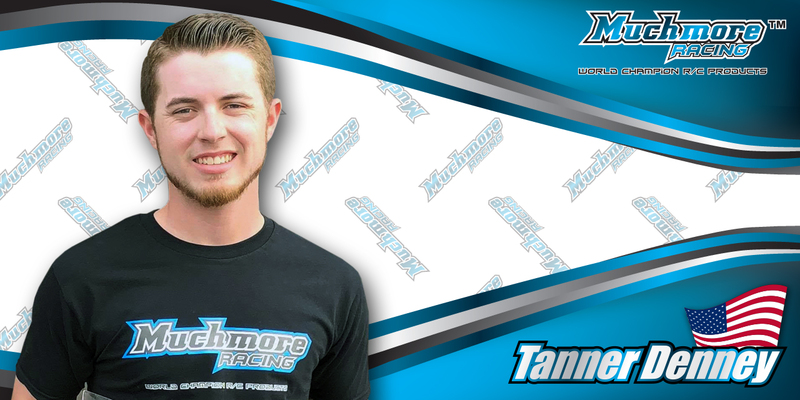 Muchmore Racing is happy to announce the signing of Tanner Denney to our USA race team. 12 overall at the Reedy Race in the Invitational class. A quote from Tanner Denney, “I am very happy to sign with Muchmore Racing for 2018 and beyond. Thanks to Yusuke Kobayashi and Joe Pillars for everything they have done and making this happen! I can’t wait help build the brand in the USA and work along side Ryan Cavalieri and Joe Pillars! My first official race will be at the 2018 Reedy International Off-Road Race Of Champions at OC RC Raceway in a couple weeks!